The solution, althrough a bit tricky to find, was very simple. The firewall’s anti-spoofing on the external interface was configured to not check packets with IP-addresses originating from this specified network object. 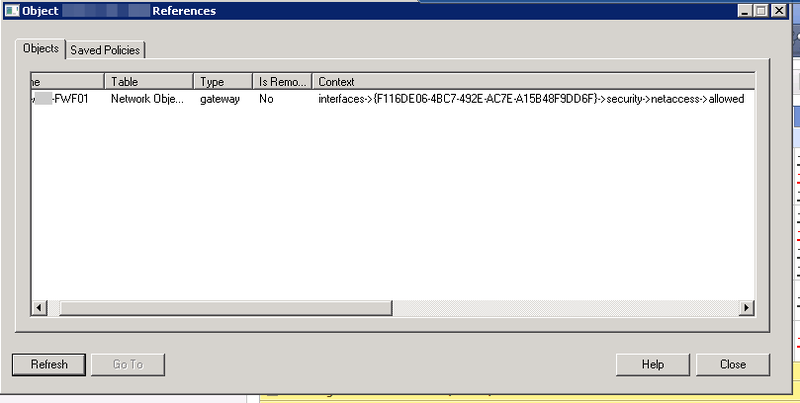 Removing this “do not check”-configuration sorted the issue and allowed me to delete the network object.